It was a pleasure to welcome two new members to our club last night. 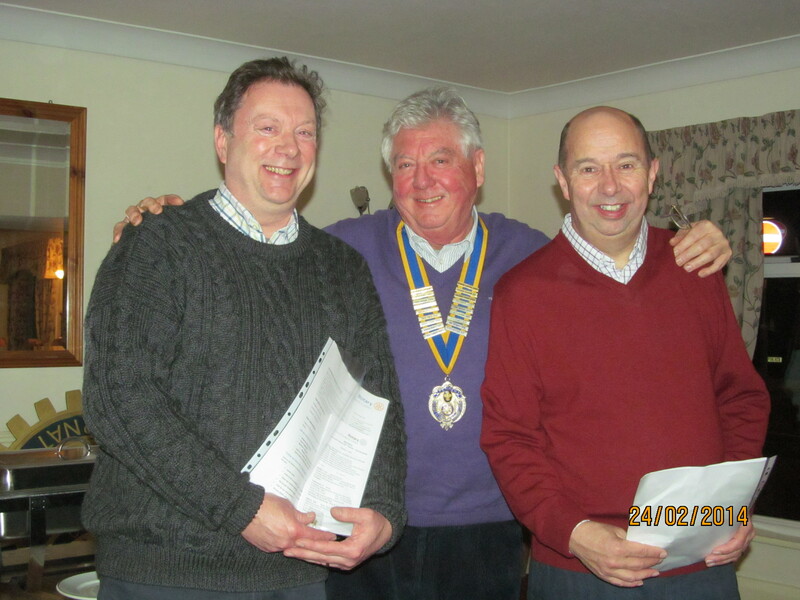 Tony Boot and Alan Rooney have both been attending our meetings for a few weeks to get an understanding of how our Rotary club works, before deciding to join us. You could be forgiven for thinking that all are members are male, as most of our recent new members have been, but we do have women members and I think the club would benefit from having more, so come on ladies, why not visit us and find out what Rotary is all about. And don’t forget, we are now offering Associate Membership of our club, for those people who would like to support Rotary but don’t have time to make a weekly commitment. Check this out for more reasons why Rotary might be right for you and get in touch. We would love to hear from you.